Losing our travel luggage after a very long and tiring flight is not a funny joke. It could make our journey a hell instead of a heavenly experience. 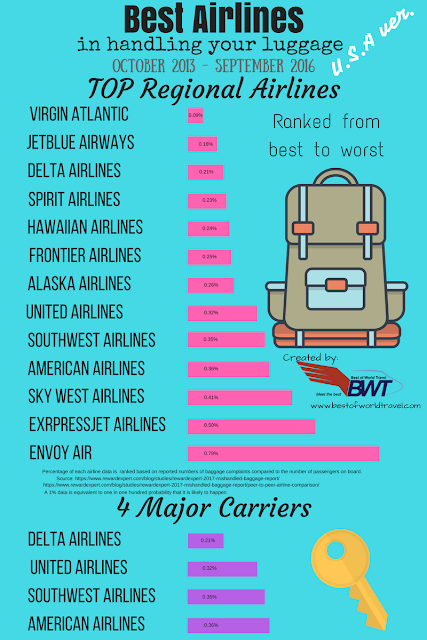 In order to avoid airline lost luggage circumstances, the RewardExpert had a few research and published a report about the best airlines in the United States in terms of handling our precious bags. One time, when one or my relatives went home from the United States, his travel luggage was ripped off. I noticed it during his arrival, but he could not tell that it had some major damage because it was in the middle of the night. On the next day, we found out that the bag was torn apart and some of the precious items inside were missing. We contacted the airline company immediately, and they were happy to compensate about the damages. Unfortunately they only paid half of overall lost items because we could not show any receipts of the declared items. Half paid was actually better compared on receiving none which happens to most of the travelers out there. This post will tell you the best airline in the United States that has few mishandled luggage reports according to the DOT domestic-system data compiled by RewardExpert. These data will help us pick beforehand on what carrier should we trust leading to a less hassle journey. RewardExpert concluded that Virgin Atlantic, JetBlue, and Delta Airlines are the top three companies that will most likely treat your luggage with care. They were picked from a list of 13 airlines according to the data collected from October 2013 – September 2016. The ranking shows the percentage according to the amount of mishandled baggage from lowest (best handler) to the highest (worst handler) based on the number of reports to the total number of passengers. The data shows that the best airlines according to the RewardExpert article are the Virgin Atlantic with only 0.09% likelihood of mishandling your luggage which is almost near zero reports. The airlines that follows are the JetBlue Airways and Delta Airlines that are just a few percentage apart with 0.18% and 0.21% respectively. Spirit Airlines, 0.23%, Hawaiian Airlines, 0.24%, Frontier Airlines, 0.25% and Alaska Airlines, 0.25% are just 0.01% apart from each other which makes them fall in almost the same rank with each other since 0.01% is just a one in ten thousand probability. Falling in the bottom six are the United Airlines, Southwest Airlines, American Airlines, Sky West Airlines, ExressJet and Envoy Air. ExpressJet ranks as second to the worst within the 13 airlines with 0.50% of mishandled luggage reports. That is approximately one report per 200 passengers. On the other hand, the bottom ranked Envoy Air carries a 0.79% of mishandled luggage reports, which is approximately more than three reports per 400 passengers. Percentages and data stated above are based on the raw numbers shared by RewardExpert thru email (see photo below). How to Avoid Airline Lost Luggage Problems? The U.S. Department of Transportation compiled a couple of data and tips to help passengers avoid hassles, mishandled or lost luggage problems. Remember the distinction of your bags. Add tags or any marks that are very easy to see. Put your name inside and outside the bag, including the best contact number. Research or contact the airline company that will service you beforehand and ask the detailed requirements for bag weight, and dimensions. Don’t over pack your luggage, this puts pressure on the zipper and other parts of the bag that might result for it to pop open. Remove unnecessary straps and hooks as they might get caught up in some machines. ALSO READ: Get up to 50% discount in your flights! When your bag arrives in carried by the carousel, check it as soon as possible. Check for possible damages. If some damages are found, report it immediately. For more step by step procedures, check our baggage handling procedures based on experience. Does Your Bag Quality Matters? When traveling, the likelihood to encounter problems does not only concern on how the traveler packed his/her items inside the bag. But the quality and design of the bag itself can also affect these circumstances. One scenario would be using a leather bag versus an aluminum or hard plastic case. A leather bag can easily be pierced with sharp objects and may result in damages. On the other hand, the hard plastic designed bag may be invulnerable to sharp objects but are less resistant to fall because of the brittleness of the plastic. Plus, the harder or thicker the plastic, the more weight it carries. An aluminum case is lighter than a hard plastic based bag, but invulnerable to sharp objects. They are somewhat on the upper hand but with a higher cost compared to the two. But the case are not just the problem here. Did you know that a locked zipper can easily be opened and closed again? You have a sturdy case but your bag’s zipper is so vulnerable! I recommend watching this video created by bosnianbill for more information. What are the Best Time to Avoid Mishandled Luggage? If you’ve been asking, “Where’s my suitcase? where’s my suitcase?” and you always travel in the peak season, then I think you need to know what are the best months to travel with ease. Obviously, December and January are the peaked seasons of the whole year. Everyone wants to travel during winter or Christmas and New Year breaks, and thus, the amount of travelers during this time also increases. With higher the amount of travelers, the number of luggage to cater per flight also increases. This also increases the loads of baggage loaders, and the probability of mishandling a bag also increases. According to RewardExpert, January carries higher risks of bag problems, followed by December. February and June carries less risk compared to the first two, but are higher than the rest. 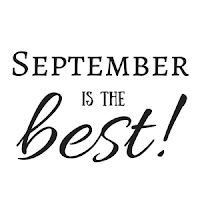 March, April, May and November are the next in rank, while October seems to be safer than the rest. And the title holder with the safest month to travel with is due September. Can You Avoid Delayed Baggage Before Booking? A delayed or lost baggage has a very low probability, but sometimes it really happens to us. In order to help yourself and your bags to avoid mishandling misfortunes, try to follow the tips of U.S. Dept. of Transportation when booking your flights. Read our article about our experience in delayed baggage compensation. When booking a flight, you will already know if your flight is a nonstop or connecting flights. With these resources, you will already lessen the amount of mishandling that might happen to your luggage. Each transfer of your bags from one aircraft to another, or one airline to another makes the likelihood of encountering misfortunes higher compared to a one nonstop flight. But most of the times, these connecting flights are the cheapest tickets compared to the other, thus budget travelers are more prone in booking these tickets. When you do, try track your luggage and communicate with the airline company on how to protect your bags. Air travelers are prone to Airline lost luggage problems, or just even a mishandling misfortune. In order to combat these things, a traveler must have proper research before embarking to a new journey. The probability of experiencing mishandling depends on a lot of factors. These factors may include the time of travel, who are the carriers and even the type of flight you had. 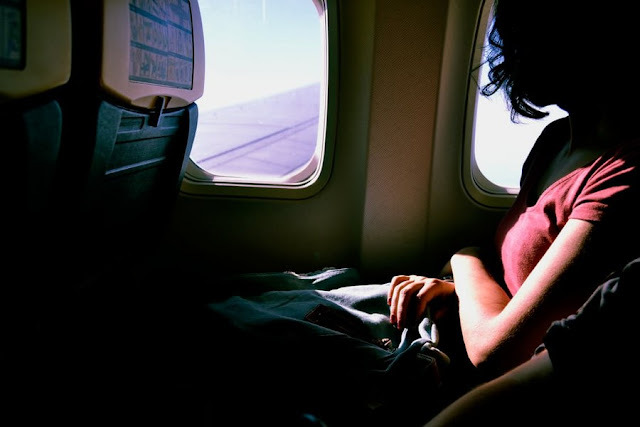 By keeping these things in mind, a proper travel should be well prepared.